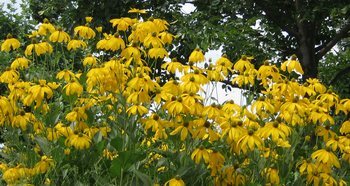 Yellow coneflowers on the Promenade Plantée. 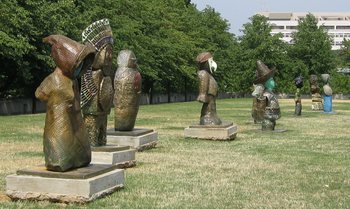 Strange sculptures on the edge of the Bercy Park. This is what you see when you first enter the park from the new Simone-de-Beauvoir pedestrian bridge. 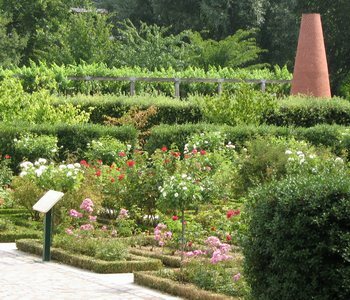 The lovely Yitzhak Rabin garden in the Bercy Park. The brick chimney is a relic from the old village warehouses that used to be in this area. 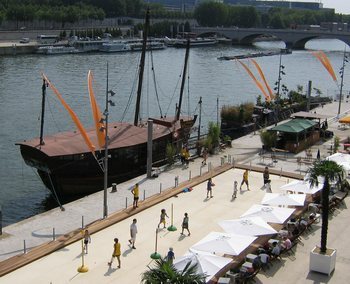 A place for kids to play games as part of the new section of Paris Beach on the right bank. Forecasted ozone maximum hourly concentration : from 200 µg/m3 to 230 µg/m3. Forecasted NO2 maximum hourly concentration : from 120 µg/m3 to 140 µg/m3. 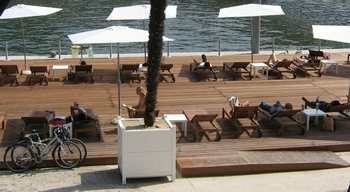 Wooden decks are used instead of imported sand in this part of the Paris Beach event. A view into the new Josephine Baker floating swimming pool. This is a permanent facility, not just part of the Paris Beach which will conclude in mid-August. 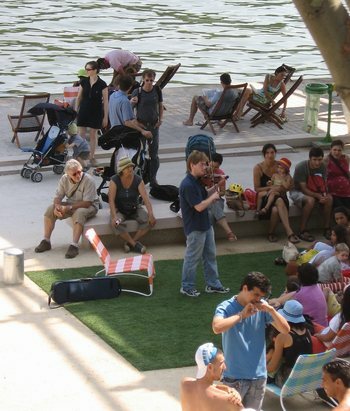 Violinist entertains Paris beach-goers on the right bank. 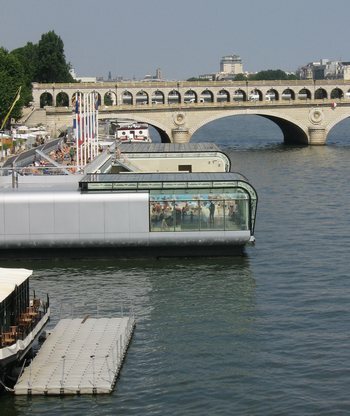 The Josephine Baker pool and the Bercy bridge on the Seine.